A winter storm is bearing down on the Big Apple — threatening to blanket the city with up to 8 inches of snow this weekend. The first flakes are expected to fly Saturday night when temperatures dip below 32 degrees, according to the National Weather Service. Snow will likely continue to fall into early Sunday morning . 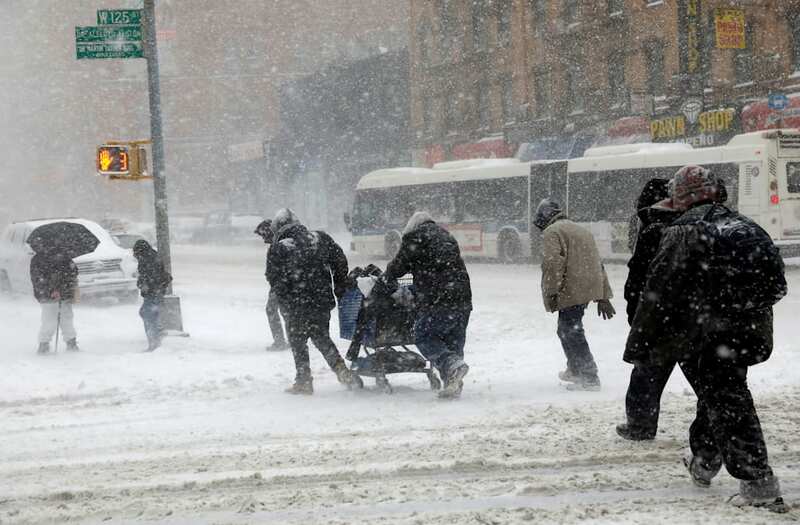 The city is forecast to receive a total accumulation of 4 to 8 inches. The National Weather Service has placed the region under a winter storm watch warning of potential heavy snow.